In September 2007 we invited four international architectural firms to an urban planning ideas competition for the area around the Great Pyramid. The competition objective was to specify high quality and unique, functional as well as aesthetic strategies that are economically feasible to implement. The planning concepts should demonstrate the idea and the positive implications of the project to partners, decision makers, clients and other stakeholders. Ingo Niermann, Writer and Journalist, Friends of the Great Pyramid e.V. 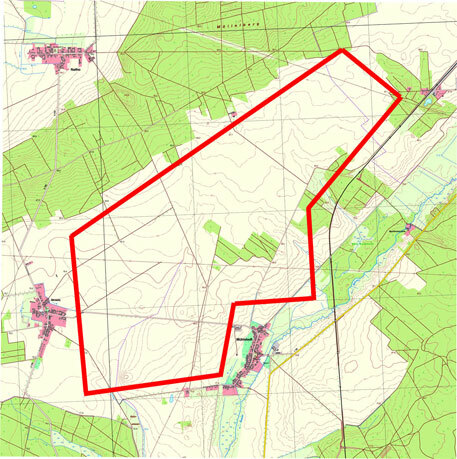 As competition site we selected a plot of about 2 sqkm situated on the northern edge of Dessau-Rosslau/Germany on the largest open and connected plot of land within the city limits. At this evaluation location we had introduced the Great Pyramid concept in the previous months in order to raise public attention for the project and because we found the region of Anhalt-Dessau with its uniquely rich cultural heritage (Bauhaus Dessau, Wittenberg Luther sites, Dessau-Woerlitz Garden Realm) not unsuitable to actually host the Great Pyramid. Notwithstanding that fact, participants in the competition were encouraged to use site-independent or modular approaches to the planning that also could be applied to other locations. On January 22, 2008 the Jury met in Milan and decided to name all four entries as winners. Please refer to the jury president´s Rem Koolhaas protocol to learn more about this somewhat unusual but thoroughly transparent verdict. We are grateful for the most inspiring concepts and ideas that were entered into the competition and would like to continue working with all four architectural firms that have submitted plans. As soon as the actual location for the Great Pyramid is established we will invite all four architectural firms plus new participants to apply these and new concepts to the then determined site.